In order to maintain a successful business, it is crucial to have not only an attractive product or services offering, but also be able to recruit and maintain a group of productive, qualified employees. There are many factors involved in reaching these goals, but often overlooked are competitive employee benefits packages. Designing the right benefits plan for your employees can make a significant impact on your business’s success. An ideal plan will be competitive in a market where companies are offering increasingly upgraded plans to recruit the best possible staff. However, it is also crucial to ensure that your package is cost-effective; last year an annual Employee Benefits Trends Study ranked controlling benefits costs as the number one benefits-related objective among employers. However, employee demand for a strong employee benefits packages continues to rise, as solid benefits and job satisfaction increasingly are considered to go hand-in-hand. While many employers offer the standard health coverings, more and more companies are diversifying into other kinds of compensation packages. It is, therefore, important to plan your benefits package carefully, to ensure you remain current with your offerings while still choosing a plan that fits with your budget. It can be challenging to find the right benefits package for your employees. Besides the typical health coverings, many employers are now offering a wider range of additional, upgraded packages. Among these are life insurance, flexible spending accounts, retirement plans, tuition assistance, and elder care. There is also a variety of vacation, illness, and maternity leave options being offered. The right plan design for your company is important, and is most likely to appeal to your employees. In order to create such a plan, it is useful to consider the needs of your specific employee base. For example, income level can affect the benefit needs of your employees; if you offer lower salaries it may be advisable to increase certain benefit offerings. Gender can also have a significant impact on the benefits preferred by your employees. According to the Bureau of Labor Statistics, in 1950 women only made up around thirty percent of the workforce. Today, however, women constitute nearly one half of all working adults. This makes it critical that employers consider the needs of female employees more carefully today than might have been necessary in the past. Another factor can be age; consider how different employees may require different benefits. While a younger employee might prefer a subsidized gym membership, more mature workers might opt for better retirement savings plans or long-term care options. Therefore, consider the diversity of your workforce when designing your benefit options. A good means of creating a benefits plan that will appeal to all your current and potential employees is to allow workers to choose certain benefits from a menu of options. With this method, employees can design a benefits package that is right for them. A good benefits package can do more for your business than simply ensuring your employees have a measure of financial stability. By creating a benefits package that appeals to your employee base, you can help guarantee that your workers will be satisfied in their jobs, meaning that they will work harder and remain in their positions longer. However, a benefits package can, in fact, do even more than improve company productivity. A good benefits package can be an excellent means of recruiting, and maintaining, the best employees. With a standout benefits package you can ensure that your company will be better able easier to recruit top talent. With this in mind, it is advisable to ensure that you are familiar with the benefits packages of your chief competitors. Know what they offer and make certain that your package is of equal or greater value to your employee base. By understanding both what your employees value, and what your competitors offer, you can be certain that your company will stand apart from the rest. Company-provided benefits packages are a major cost of doing business. In today’s economy healthcare can cost more than ever before, which is only exacerbated by the need to increase benefit offerings to remain competitive. Therefore, it is particularly necessary to ensure that you are employing the most cost-effective package possible. First and foremost, the best way to keep the cost of benefits down is to compare price offering before making a final decision on your provider. Just as you must remain competitive in your business, insurance providers must also endeavor to keep clients in their field. Sometimes employing an outside expert, such as a professional insurance agent, can be an effective means of ensuring that you are getting the most value with your benefits plan. In addition, to reduce costs consider reducing your coverage in certain areas or increasing the contribution made by employees. However, make such moves carefully, as it could backfire by leading to employee dissatisfaction and loss. Therefore, consider in what particular areas employee contributions could be increased without negative consequences. One possible method of minimizing costs without resulting in employee dissatisfaction is offering flexible savings accounts instead of complete coverage. These accounts allow employees to deposit funds pre-tax in order to pay for particular, designated expenses. Most common are health savings accounts, which are becoming increasingly popular among corporate benefits packages, and are likewise well-liked by employees. Last, but certainly not least, costs may be minimized simply by offering programs that will keep your employees healthy, since healthy employees are not only more productive but are also less likely to make large claims on their company health insurance. Wellness programs, such as flu shot clinics, cancer screenings, stop-smoking packages, or even company contributions to gym memberships, can ultimately save your company millions of dollars by reducing the chances of large insurance pay-outs. § Think carefully about what benefits will appeal most to your particular employee base. Consider offering a diverse plan with options, so that employees can choose from a menu to create their own ideal package. § When designing your benefits package, consider what coverage your competitors offer. § In this volatile economic climate it is advisable to minimize the costs of employee benefits packages in whatever way possible. By using methods such as comparing prices or offering employee-contribution schemes such as flexible savings accounts, you can offer the most appealing of employee benefits packages while still keeping costs low. 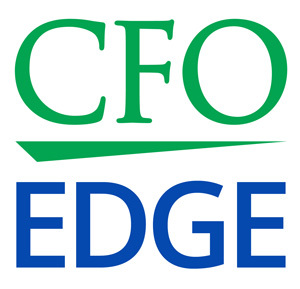 Greater Los Angeles CEOs and CFOs may find it helpful to engage with an outside expert like an on-demand part-time CFO or project CFO from a local CFO services firm to help design their benefits package. A professional like this can draw on many years of experience evaluating, selecting and managing employee benefits packages that are cost effective, competitive and attractive to employees.